“Richard was recommended to me when [we] needed to refurbish our website and bring it up-to-date with regard to Social Media and our Archiving of gig images. He has done this in a conscientious way, not only responding to all aspects of the brief we gave him but in a proactive way suggesting improvements himself. As a result of the “success” of our site we have been asked about our webmaster, or I have recommended him, to all three other organisations with which I am associated. “The requirements of the organisations have been diverse so not all their needs have had obvious solutions that Richard could “plug into”. In all cases he has sought solutions by research and generally arrived at results which have satisfied the customer. His greatest strength is his rapid acknowledgement of requests for action and, almost as frequently, rapid achievement of the actions sought. He is praised for this promptness of response by all those who have employed him. His fees and requests for expenses are very reasonable – in one case a competitor for a job withdrew saying he could not fulfill the brief for the budget offered (Richard did).” – [former] Promoter Wakefield Jazz, Chair NorVol Jazz, Board Member Wakefield Sports Club. If you run a business, you really need to have a web presence for full credibility. A personal website reassures both your existing and potential clients or customers, that you are publicly established. It gives you the opportunity to market your business and provide basic information for people to contact you easily. A website can be as simple or as complex as you need it to be and you do not have to spend a lot of time maintaining it. Note: If you are thinking about having your own website, please get in touch before you purchase domains or web space. If you have already registered a domain name, you will need to buy appropriate web hosting or be prepared to transfer your domain to recommended web hosting if necessary. My recommendation is to take a look at UK2.net in the first instance, since they offer plenty of options, reliability, and excellent free technical support – including a live instant message ‘chat’ facility. Do you plan to maintain your website alone, or will you require help? Not entirely sure what you want? Keep the addresses of websites that capture your attention or imagination and make notes on which bits you like and don’t like – e.g. colours, design features, etc. *A maximum budget does not mean that this will be reached. Often, final costs will come in under the set budget. All websites are built using WordPress. Your initial 30 minutes consultancy discussion, in person, is free at Richard’s home location, or via an arranged phone call. Further time is charged at £20 per hour pro rata, but up to the first paid hour will be refunded by deduction from your final invoice, if you decide to proceed with a website. Consultancy visits to your chosen location or premises – £50 for first hour plus 45p per mile 2-way car travel (for anything over the first 20 miles return from WF4) plus £35 per hour pro-rata for any subsequent time taken during the same visit. (Paid at the time or can be invoiced afterwards). £20 will be refunded by deduction from your final invoice, if you decide to proceed with a website. See also, my consultancy page here. A WordPress site, produced by Richard, excluding the cost of web hosting and domain names, will cost you anywhere between £150 and £1,000 depending on your requirements and the complexity of the site. You will also be asked to provide a maximum budget, and this will not be exceeded without prior consultation. If you wish to check on available domain names or the costs of web hosting, you can perform a search on UK2.net and/or check details of their business web hosting. Quite often, if you are a new customer, business web hosting is half price for your first year, or even first two years, if bought at the same time. Once your website is ‘signed off’, you will have a choice of options for on-going website maintenance as detailed below. *This is only recommended if you feel confident to learn about WordPress. Richard will provide a teaching lesson based on his hourly WordPress lessons rate (see below). *Monthly fees are negotiable, based on the estimated monthly work involved. Termination or renegotiation of payment arrangements can be made at any time without penalty, but should be discussed or notified in advance of any change being made. Meeting at Richard’s house: £25 per hour pro-rata. Meeting at your location: £35 per hour pro-rata (plus 45p per mile over a round trip distance of 20 miles). If you would like to learn about using WordPress yourself, whether it be setting up your own website or simply maintaining the one you’ve got, then Richard can provide lessons from £30 per hour. Training at Richard’s house – £35 per hour pro-rata. Training at your premises for 1 person* – £80 for first hour plus 45p per mile 2-way car travel (for anything over the first 20 miles return) and £35 per hour pro-rata for any subsequent time taken during the same visit. (Paid at the time or can be invoiced afterwards). *For 2 or more people, £30 per person per hour, plus one payment of return travel, as already detailed above. Your training will cover everything you need to know to get started, or take you on from whatever you already know. You will learn about ‘child themes’, and some essential [free] plugins that will protect and enhance your WordPress site and be given key tips and advice on organisation, navigation, and layout. In addition, you can learn how to create banner mast heads, add personal logos, manage your media images, and create slide shows, etc. You will also learn about ‘Posts’ and ‘Comments’ and basic SEO (Search Engine Optimisation). Depending on need, some more advanced information can be provided on basic php code editing – useful when you want to tweak the appearance or functionality of your chosen WordPress Theme. This will also include, ‘how to search for answers online’. You can also learn some of the basics of SEO (Search Engine Optimization) and start to understand the processes and requirements necessary for producing the right information and content for SEO. If you require help with graphic design or artwork, such as a new logo or a top banner, costs start from £50. Most of the recent WordPress themes are designed with automatic mobile, smart phone, and tablet optimization, built in. However, if you require your older website to be optimized for mobile devices, such as Smart Phones, then you will need to use either a replacement WordPress Theme that is already optimized for mobile device access, or have an account on a third-party site – such as Duda Mobile. (The free version of Duda Mobile has a small top-banner advertising area, but this usually isn’t an issue for most clients). Although Duda Mobile may not have many reviews, I have found it to generally work well. 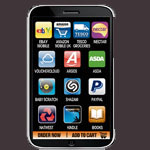 You can create this account yourself or I can create it for you for £35 (my hourly rate). In addition to creating the mobile site for you, I will design a ‘load screen’ and icons that are used by iPhones to generate an App for your website. (You can see an example of this if you access this site [gentle-enterprises] from a mobile device). 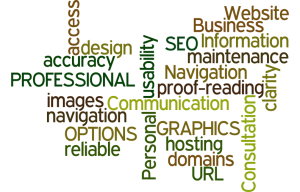 Many years of experience are drawn upon when creating your website to a high standard. You’d perhaps be surprised at what has to happen behind the scenes before a website is considered of sufficient quality to be in the public domain. Everything from improving and resizing images to ensuring layout appearance stays exactly as it is intended to be. Appearance, typographic consistency, editorial sentence construction, grammar, spelling, typos, and usability, together with design and content of information, all has to be checked and rechecked several times – by both designer and client. Very often, the background code of a website has to be modified to better suit customer requirements – again, something that demands a high level of experience and continually developing knowledge. Even as a website is being created, you [the client] will often change your mind – and this is expected. You often have to see something to appreciate it’s not exactly what you were thinking about, or that you get a new idea that will make something even better. The great thing about the Internet, is that you can see what is happening in real time and make amendments quickly.